Smoke from the wildfire rising over Texas State Highway 71 near Bastrop on September 5, 2011. The Bastrop County Complex fire was the most destructive wildfire in Texas history, striking areas of Bastrop County in September and October 2011. Three separate fires started on September 4, 2011, as a result of strong winds caused by nearby Tropical Storm Lee, and merged into one large blaze that burned east of the city of Bastrop. Two people were killed by the fire, which destroyed 1,673 homes and inflicted an estimated $325 million of insured property damage. The fire furthermore caused severe damage to Bastrop State Park and the ancient Lost Pines Forest. After being largely contained in late September, the fire was declared controlled on October 10. The fire moved underground later in October and was finally extinguished on October 29. In the months before the Bastrop County Complex fire, Texas was affected by a series of wildfires amid several distinct record-breaking meteorological conditions conducive to combustion. During 2011, Texas endured its most severe single-year drought since the 1950s, received the lowest single-year rainfall since 1895, and experienced the hottest June–August period of any U.S. state at any point in time on record – exceeding that of even the Dust Bowl of the 1930s. Circumstances were further exacerbated by Tropical Storm Lee, which produced strong winds over the Labor Day weekend, creating ideal conditions for wildfires to spread. Between September 4 and September 6, reports indicated that 63 new fires were started. On September 6, the Texas Forest Service released a statement, describing the fire's behavior as "unprecedented" and stating that "no one on the face of this Earth has ever fought fires in these extreme conditions". A CH-47 Chinook helicopter from the Texas Army National Guard uses a Bambi Bucket to dump water on a blaze near Bastrop on September 6, 2011. On the afternoon of September 4, two fires started near Bastrop State Park: one in the community of Circle D-KC Estates and the other four miles north. Fire officials later stated that the likely cause of the blaze was sparks from electric power lines – 30-mile-per-hour gusts of wind on September 4 apparently toppled trees which tumbled into electrical lines at the two initial locations, creating sparks that fell onto and ignited the dry grass and leaf litter below. The high winds quickly spread the fires among the towering loblolly pine trees and the two fires then merged, engulfing 400 homes. A few hours later, a third fire broke out on the south side of Texas State Highway 71 near the Tahitian Village subdivision and merged with the other two. Multiple areas and locales were evacuated, including the Bastrop Animal Shelter, Bastrop State Park (more than half of which was burned), and other communities near the fire. Bluebonnet Electric Cooperative relocated its operations to a backup location and cut power in the area to protect firefighters. Bulldozers and pumpers were deployed to help combat the fire, according to Bastrop County Judge Ronnie McDonald. By early September 6, reports indicated that two lives had been lost, and that the number of destroyed homes had increased to at least 600. Although the winds had calmed, the fire had no containment. Urban Search and Rescue Texas Task Force 1 was deployed to the area. By the morning of September 7, the Texas Forest Service reported that 785 homes had been destroyed, with the fire only 30 percent contained. The fire jumped the Colorado River on at least two separate occasions. On the morning of September 8, the number of homes destroyed reached 1,386. Texan officials also reported that they lacked the tanks and pipes necessary to load Tanker 910, a converted McDonnell Douglas DC-10 airtanker, with fire retardant, as well as a qualified aerial firefighting pilot to operate it. Air quality in neighboring Austin reportedly reached 14-year lows due to drifting smoke from the fire. In the evening of September 8, officials announced that they expected Tanker 910 to be in action by the morning of Friday September 9. However, Tanker 910 ultimately did not receive authorisation to combat the Bastrop fire, instead being used to fight a separate wildfire outside Houston. By Sunday, September 11, the fire had reportedly been 50% contained, and some evacuated residents were permitted to return home as firefighting efforts continued. By this point, more than 1,500 homes had been destroyed by the fire. On September 16, the fire was reported to be 80% contained, and more evacuated residents began returning to the affected area. On September 17, light rain began to fall in the fire zone, and the fire was reportedly 85% contained, although Bastrop County emergency management coordinator Mike Fisher warned that complete containment would take a further 7 days. On September 27, the fire was reported to be 98% contained, with no fire burning outside of the main containment lines. By September 30, cleanup operations had begun, although the fire was not formally declared to be contained until October 10. The cost of the removal of fire debris was estimated at $25 million, of which the Federal Emergency Management Agency (FEMA) was expected to contribute $19 million. Burn scar on the Texas landscape left behind by the fire on September 12, 2011. The fire caused two confirmed deaths in the Bastrop area, and destroyed 1,691 residential structures, more than any other single fire in Texas history. By comparison, the second-most destructive fire on record, in April 2011, destroyed 168 homes, while the third, in December 2005, destroyed 116. Total insured losses caused by the Bastrop fire were estimated at $325 million. According to Texas Parks & Wildlife officials, only 50-100 acres of the Bastrop State Park's 5,926-acre premises remained undamaged following the wildfire. The fire destroyed two scenic overlooks constructed during the New Deal of the 1930s, as well as the park's vintage Rain Shelter building. Buescher State Park was closed for two weeks due to the wildfire threat, but later reopened. Contrary to earlier reports, a Texas Parks & Wildlife press release reported that the park was untouched by the wildfire. The endangered Houston toad was believed to have lost the vast majority of its habitat in the fire. The Lost Pines Forest, a disjunct population of loblolly pine trees thought to have originated in or before the Pleistocene era, was heavily affected by the fire. In response to the wildfire, Governor of Texas Rick Perry forewent his presidential campaign stop in South Carolina and returned home on Tuesday, September 6, to "address the public and organize requests for more federal aid". Perry and the Texas Legislature drew criticism over their roles in substantial budget cuts to the Texas Forest Service and volunteer fire departments, both of which the state relies heavily upon for combating wildfires. Mario Gallegos, Jim Dunnam, Kirk Watson, the Center for Public Policy Priorities and others opined that these budget cuts exacerbated conditions. Perry criticized the Obama administration for delays in responding to requests made to FEMA for relief aid. On September 7, 2011, President Barack Obama personally telephoned Perry to discuss the fires. That same day, the White House issued a formal statement, saying that "Over the last several days, at the request of the Governor, the Administration has granted eight Fire Management Assistance Grants, making federal funds available to reimburse eligible costs associated with efforts to combat the fires. FEMA is actively working with state and local officials to conduct damage assessments and to identify areas where additional federal assistance may be warranted." Members of the community were noted for voluntarily working to save several homes from destruction by the wildfire. On September 7, a Facebook page entitled Bastrop Fire – Adopt a Family was created to help match up homeless victims with those willing to help house them or provide other assistance. On September 27, 2011, the Bastrop County Long Term Recovery Team was formed and is credited with the rebuilding of 133 homes in Bastrop County for uninsured and underinsured low income individuals and families who were unable to recover on their own. Wikimedia Commons has media related to Bastrop County Complex Fire. In the aftermath of the wildfire, students at Texas A&M University organized a "Wear White, Wave Maroon" campaign for a home football game against Baylor on October 15, 2011, with all proceeds from the sales of white T-shirts and maroon towels going to benefit volunteer firefighters as well as victims This fundraiser raised over $64,000, which was split evenly and donated to the American Red Cross of Central Texas and the Texas Wildfire Relief Fund. The Texas A&M Forest Service, with responsibility for fighting forest fires in Texas, did not have prepositioned fire retardant loading facilities to fuel the DC-10 and 747 firefighting units that arrived from California, resulting in the abandonment of their use during this fire. A portable air operations base for fire fighting aircraft was belatedly completed in 2017. ^ "Firefighters gain some control over Texas blaze". Reuters via KGMI. September 8, 2011. Archived from the original on 2012-04-02. Retrieved September 8, 2011. ^ a b c Mashhood, Farzad (September 19, 2011). "With Bastrop fire 95 percent contained, recovery is new focus for fire crews". Austin American-Statesman. Archived from the original on 2011-09-24. Retrieved September 19, 2011. ^ a b c "Current Texas Wildfire Situation". Texas Forest Service. Retrieved July 6, 2013. ^ a b "Texas fire destroys 1,554 homes, 17 people missing" Archived 2012-01-14 at the Wayback Machine. Associated Press. September 11, 2011. Retrieved July 6, 2013. ^ a b "Bastrop Country Fire Remains Uncontrolled, Could Continue for Days". International Business Times. September 6, 2011. Retrieved September 6, 2011. ^ "Wildfire destroys hundreds of homes in drought-stricken U.S. state of Texas". Xinhua. September 5, 2011. Retrieved September 6, 2011. ^ Fiegel, Eric (September 6, 2011). "Texans flee wildfire through road of flames". CNN. Retrieved September 6, 2011. ^ a b c d "Bastrop fire still uncontained, and it may get worse". The Gonzales Cannon. September 4, 2011. Archived from the original on January 3, 2013. Retrieved September 6, 2011. ^ a b c "Bastrop Wildfire Losses Rise" (PDF). Insurance Council of Texas. 8 December 2011. Archived from the original (PDF) on 2012-04-24. Retrieved 26 December 2011. ^ a b Brooks, Karen (September 5, 2011). "Austin-area wildfire burns a record 476 homes in Texas". Chicago Tribune. Reuters. Retrieved September 6, 2011. ^ a b "Wildfires Consuming Bastrop State Park" (Press release). Texas Parks & Wildlife. September 6, 2011. Retrieved September 8, 2011. ^ a b Bastrop fire. Inciweb.org. October 15, 2011. Retrieved October 23, 2011. ^ KVUE.com. Retrieved October 3, 2011. ^ Blaney, Betsy (September 8, 2011). "Texas has hottest June–August, tops Oklahoma". AP via Google News. Retrieved September 9, 2011. ^ "Texas sets record for hottest summer in US". MSNBC Today. September 8, 2011. Retrieved September 9, 2011. ^ Forsyth, Jim (September 8, 2011). "Scorching Texas summer heat trumps Dust Bowl record". Reuters. Retrieved September 9, 2011. ^ "Texas sets record for hottest summer on record in U.S." GlobalPost. September 8, 2011. Retrieved September 9, 2011. "In a bit of cruel irony, it was the strong and persistent winds of (Tropical storm) Lee, which just missed the mark of the drought's epicenter in Texas, Oklahoma and New Mexico, that fanned the large number of fire outbreaks in Texas," the U.S. Drought Monitor said in a report released Thursday. ^ ""No containment" of Texas wildfire". CBS News. September 6, 2011. Retrieved September 6, 2011. The Texas Forest Service put out statement saying, "This is unprecedented fire behavior. No one on the face of this Earth has ever fought fires in these extreme conditions." 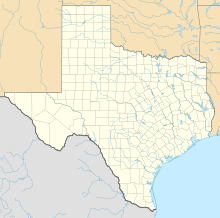 ^ "Bastrop County Complex". Texas Forest Service. Retrieved September 5, 2011. ^ "State: Power line sparks likely caused Texas blaze". Associated Press via CBS. September 20, 2011. Retrieved February 8, 2013. ^ "Bastrop fire's apparent cause: trees hitting power lines". Austin American-Statesman. September 21, 2011. Retrieved February 8, 2013. ^ "160 animals saved from Bastrop shelter". KXAN 36. Retrieved September 5, 2011. ^ Moran, Lee (September 6, 2011). "Flight from the inferno: Thousands flee 'monster' Texas wildfires which kill two and destroy 5,000 homes". The Daily Mail. Retrieved September 6, 2011. ^ Harris, Anne (September 4, 2011). "Shelters Open to Receive Evacuees From Central Texas Fires". The Austin Chronicle. Retrieved September 6, 2011. ^ "500 Homes Ravaged, 5000 Evacuated as Wildfires Engulf Texas". International Business Times. September 6, 2011. Retrieved September 6, 2011. ^ a b "Bastrop fire on move again; two confirmed dead". The Gonzales Cannon. September 6, 2011. Retrieved November 16, 2011. ^ Vertuno, Jim; Michael Graczyk (September 6, 2011). "Texas fires kill 4, destroy more than 1,000 homes". AP via Seattle Times. Retrieved September 7, 2011. ^ "Fires rage throughout Central Texas, including in Leander, Bastrop, Hill Country". Austin American-Statesman. September 5, 2011. Retrieved September 8, 2011. The fires started in the Lost Pines area Sunday, jumped the Colorado River twice and are not contained, Amen said. ^ Brooks, Karen (September 8, 2011). "Officials triple number of homes destroyed in Texas fire". Reuters. Retrieved September 8, 2011. ^ "Firefighting plane's use in Texas wildfire delayed". The Victoria Advocate. September 8, 2011. Retrieved September 25, 2011. Firefighters can't use one of their biggest weapons against a devastating wildfire in Central Texas because they haven't assembled the tanks and pipes to fill a converted jetliner with fire retardant nor a pilot to fly it over the blaze. ^ "Smoke From Texas Fires Have Doctors Concerned for At-Risk Citizens". Fox News. September 8, 2011. Retrieved September 8, 2011. ^ Sherman, Christopher; April Castro (September 8, 2011). "Firefighters look to deal big blow to Texas blaze". AP via Forbes. Retrieved September 9, 2011. ^ CNN. Retrieved 12 September 2011. ^ "Texas firefighters face stiff challenge". USA Today. September 12, 2011. Retrieved January 2, 2012. ^ KXAN.com Archived 2011-09-24 at the Wayback Machine. Retrieved September 16, 2011. ^ "Damp weather some help in corralling Bastrop fire". Austin American-Statesman. September 17, 2011. Retrieved April 18, 2013. ^ KXAN.com. Retrieved October 3, 2011. ^ NewsChannel10.com. Retrieved October 3, 2011. ^ Hennessy-Fiske, Molly; Stephanie Chavez (September 5, 2011). "Texas wildfire in Bastrop County the worst ever single fire in the state". Los Angeles Times. Retrieved September 6, 2011. A relentless Texas wildfire in Bastrop County east of Austin destroyed 476 homes and has set a somber state record: The highest number of homes lost in a single fire in Texas history. ^ Vertuno, Jim; Michael Graczyk (September 6, 2011). "Texas wildfires still out of control as toll reaches 1,000 homes". Fort Worth Star-Telegram. Retrieved 8 September 2011. State fire officials said the Bastrop Complex Fire has destroyed more homes than any previous wildfire on record, eclipsing April's fire near Possum Kingdom Lake that burned 168 homes. The third-most-destructive blaze, in December 2005, destroyed 116 homes in Callahan County, Texas Forest Service spokeswoman April Saginor said Tuesday. ^ a b Wear, Ben (September 6, 2011). "State park, historical buildings hit hard by Bastrop fire". Austin American-Statesman. Retrieved September 8, 2011. ^ "Around Central Texas, residents find some homes burned, others saved". Austin American-Statesman. September 6, 2011. Archived from the original on October 14, 2012. Retrieved September 8, 2011. Charred trees smolder at Buescher State Park on Park Road 1C in Bastrop County on Tuesday. ^ "'Lost Pines' Experience Lives on at Buescher State Park" (Press release). Texas Parks & Wildlife. September 22, 2011. Retrieved October 2, 2011. ^ "Almost a year after the Bastrop County Complex Fire, the Lost Pines begin recovery". Schultz Homes & Land. 2012. Retrieved August 18, 2015. ^ Dolak, Kevin; Ben Forer (September 6, 2011). "Texas Wildfires: Perry Returns as Dozens of Blazes Rage". ABC News. Retrieved September 6, 2011. Texas Gov. Rick Perry set aside his campaign for the Republican presidential nomination to focus attention on the troubles on the emergency at home. He cut short a campaign stop in South Carolina to return to Texas Monday. ^ McDonald, Colin; Jessica Kwong (September 6, 2011). "Uncontrolled Central Texas wildfires pushed by wind". San Antonio Express News. Retrieved September 6, 2011. ^ Hicks, Nolan (September 6, 2011). "The politics of a firestorm". Houston Chronicle. Retrieved September 6, 2011. ^ a b Graves, Lucia; Jason Cherkis (September 7, 2011). "Rick Perry's Budget Leaves Texans In Bind Amidst Historic Wildfires". Huffington Post. Retrieved September 8, 2011. ^ Gottlieb, Benjamin (September 7, 2011). "Obama Reaffirms Federal Assistance For Texas Fires". Neon Tommy. USC Annenberg School for Communication and Journalism. Retrieved September 8, 2011. ^ Mortensen, Michelle (September 8, 2011). "Bastrop's spirit glows brighter in fire". KXAN. Retrieved September 9, 2011. ^ Bergamo, Jim (September 8, 2011). "Social media helps recovery efforts in Bastrop". KVUE. Retrieved September 9, 2011. ^ "Texas A&M Students Rally in Support of Wildfire Relief with Towels". Houston Press. Retrieved 2015-10-16. This page was last edited on 15 November 2018, at 06:47 (UTC).